The recently released Roland FR-4X 120 Bass Compact V Accordion is a fantastic new addition to the Roland V Accordion range. 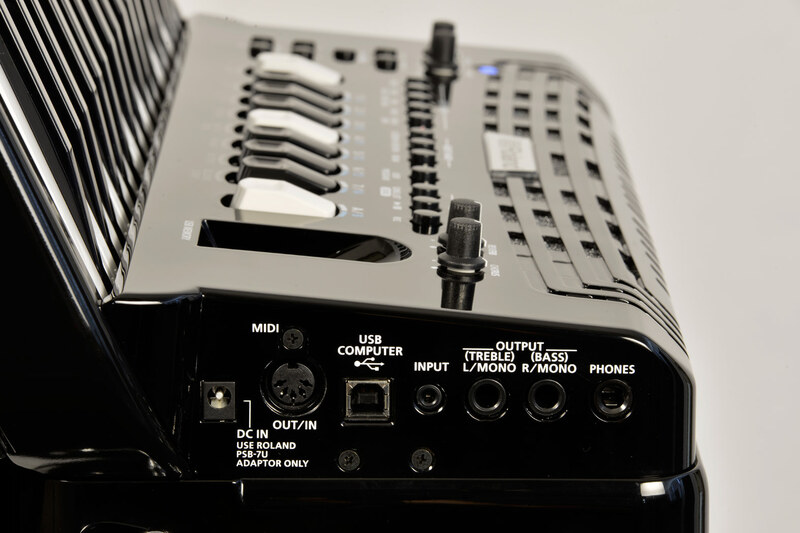 This top end digital instrument features all of the internal features of the range topping Roland FR-8X, but in a much smaller and more manageable package, making it ideal for the smaller player, or for those simply not wanting the weight and bulk of a full size 120 bass 41 key accordion. 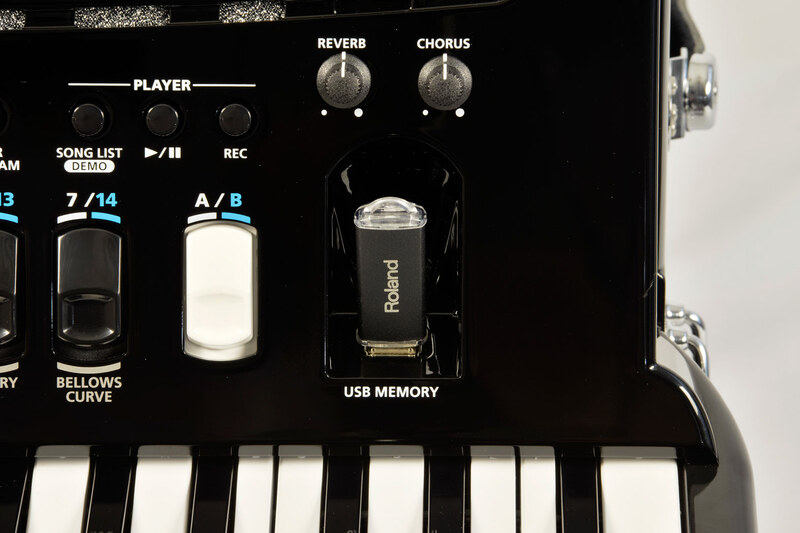 The Roland FR-4X is a special compact model, and features 120 bass buttons, but with 37 treble keys instead of the usual 41, which allows the casework to be quite a bit smaller, and also enables the accordion to be a lot lighter in terms of weight. 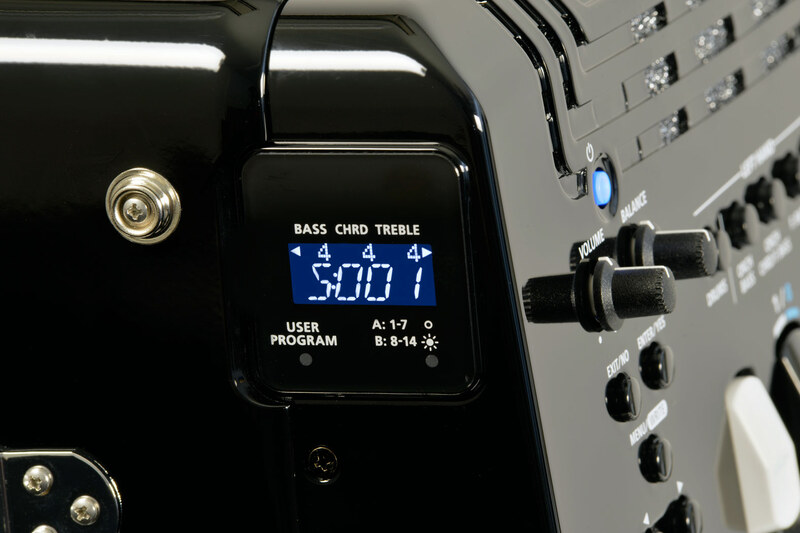 This brand new model boasts a multitude of features, including multiple accordions sets as well as a vast range of orchestral and organ tones, plus a wide range of drum sounds. 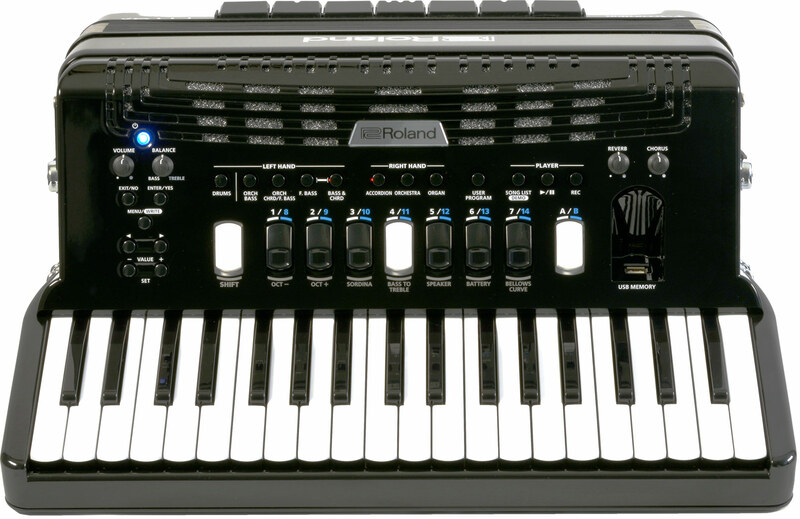 The Roland FR-4X also features the latest advancements in dynamic bellow simulation. 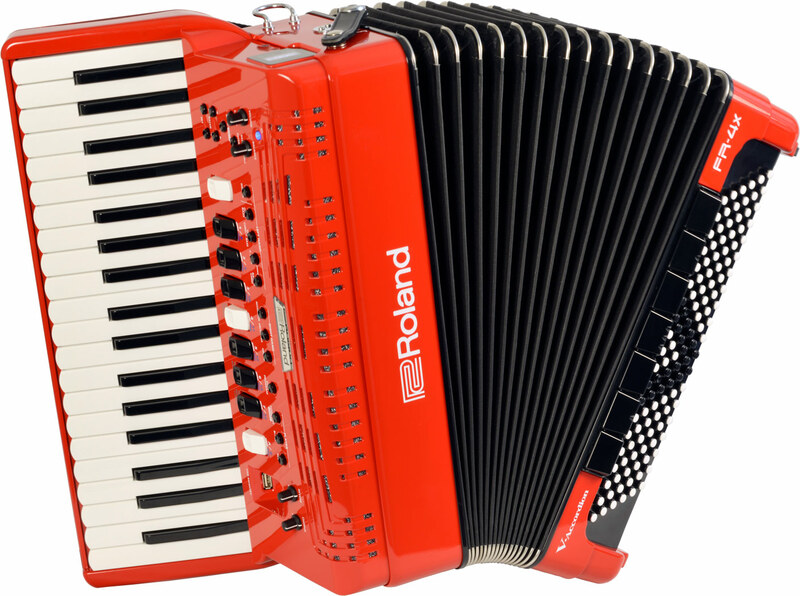 This outstanding virtual accordion is available in either high gloss black or red. Please contact us for full details. A 0% interest free loan is available on this Roland FR-4X 120 Bass Compact V Accordion subject to status via the Arts Council. Terms and conditions apply – please contact us for full details. This Roland FR-4X 120 Bass Compact V Accordion comes complete with your choice of either a soft gig bag or a hard case, padded shoulder straps and a three year component parts guarantee. 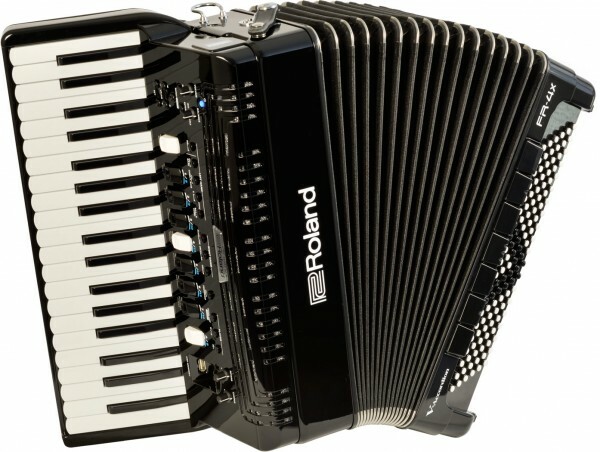 Don’t forget, free delivery of this Roland FR-4X 120 Bass Compact V Accordion to most parts of mainland UK is included in the price! Weight: 8.62 Kg. - 19.1 Lbs.